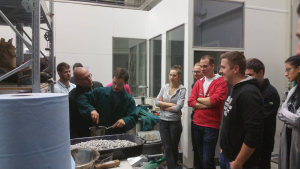 On 26.11. and 27.11. the practical training of all exercises of the course BM001 – Road Structures I. was carried out at the AdMaS Laboratories of Road Construction. 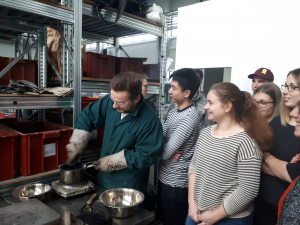 Students of the 3rd year of study in the field of Construction and Traffic Construction and in the field of Urban Engineering have seen a practical demonstration of asphalt mix production and subsequent production of test bodies. Judging by the reaction of the students, the teaching was interesting and successful. The test bodies were afterwords taken as a souvenir.